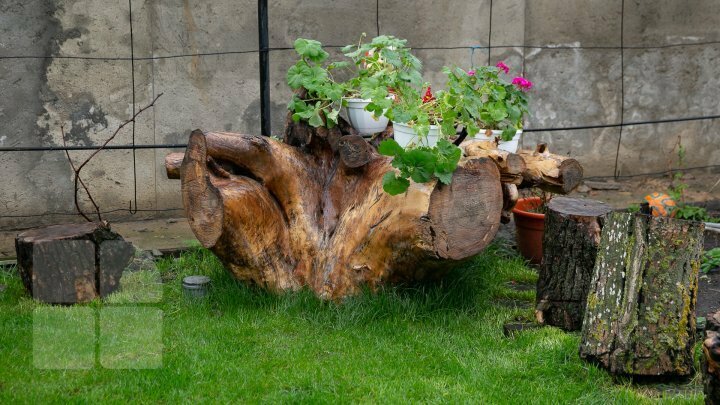 Sergiu Morcan, a Moldovan living in Căuşeni, transforms tree roots into decorative objects. He gives a new life to the plant. Turning now to 42 years old, Morcan is still fond of wood like a young child. In his garden, he sets up several wooden stumps. With the roots, he cleans, cut and dips them and create a marvelous masterpiece which will be displayed on several streets of his hometown.